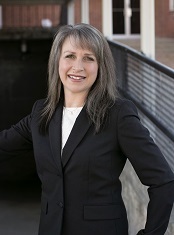 Holli earned her Real Estate License in 2000 after graduating from Missouri State. She loves helping people with one of the greatest experiences of their lives...buying a house! There is nothing more rewarding then handing over a key to a house where they will make a home and knowing that she has been an essential part of that process, guiding them all the way. "There is something about saying you are a RE/MAX agent that just makes you feel proud. It is a prestigious brand that speaks for itself." When Holli returned to RE/MAX Heritage and joined The Tomlin Team, we knew she would do great things. But I don't think any of realized how much of an impact she would have on not only her team but the whole office. Thank you Holli for your positive spirit and energy! We had been living in the KC, MO area for about a year when we decided to start the home search. We had a very defined area in which we wanted to look. Holli was excellent in getting us set-up with a home search portal, sent us listings she thought would be a fit, and was very flexible in meeting times with us. Once we found the home we wanted to she was very knowledgeable on the ins and outs of the offer process, negotiating, inspections and closing process. Top to bottom, it was an outstanding experience for my wife and I. We will use her again in the future without question!